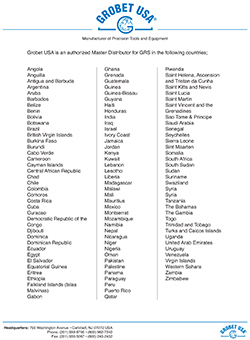 GRS (Glendo LLC) and Grobet USA are under the same ownership umbrella, and together we are proud to partner together to exclusively offer GRS products to countries in South and Central America, the Middle East and Africa. See attached for the complete country list. Glendo LLC, manufacturer of GRS products, was established in 1977 and located in Emporia, KS USA. 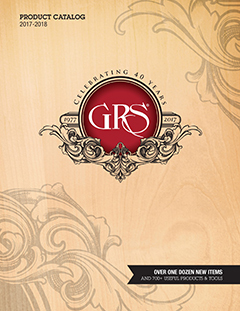 Glendo/GRS is recognized worldwide as THE world’s source for specialty tools and equipment for engravers, goldsmiths, setters, jewelry manufacturers, wood carvers, and a vast number of other fields of artisanship. Best known for the original BenchMate, GraverMax, and PowerHone, its product offerings have been expanded and it original machines upgraded and refined to meet the creative, sophisticated, and detailed needs of today’s artists and jewelers. Today’s BenchMate Encore, GraverMach AT GraverMax G8, GraverSmith, PowerHone VS, workholding, gravers, and sharpening options are among the largest selections provided. Known for exceptional quality, customer service, product support, and its GRS training center, Glendo continues its never-ending commitment to its customers to provide innovative products, services, and inspiration.